Office manager, Stuart Burton stands outside the new premises. Plymouth-based industrial control and automation specialists, Applied Automation (UK) Ltd have opened a Portsmouth office, based in Waterlooville, to expand operations into the south of England for its X-STK division. 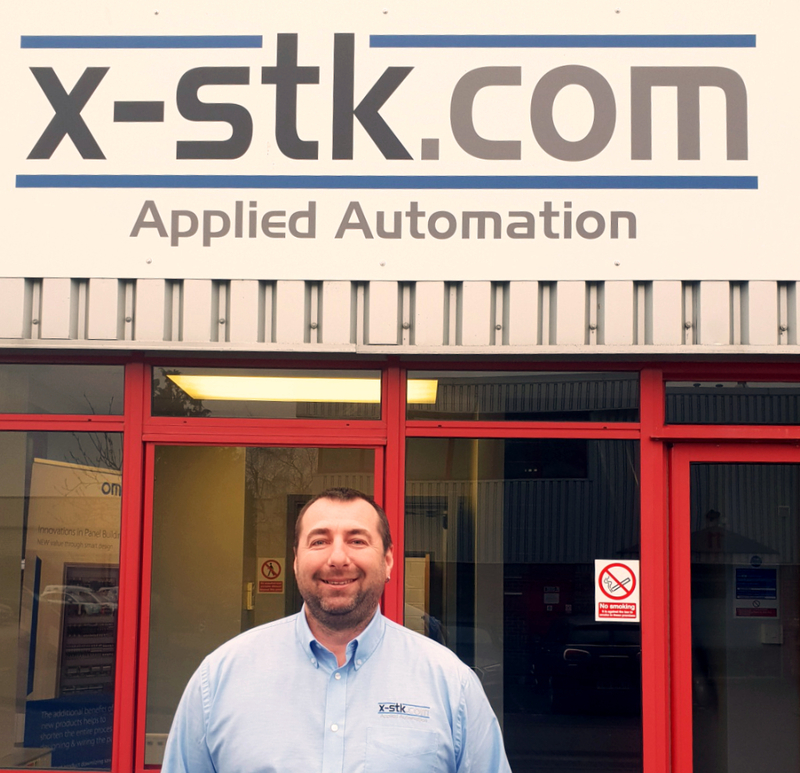 X-STK (pronounced ex-stock) specialises in the technical distribution of control and automation products, offering next day delivery on a huge range of stock and offers applications trials and training. David Rowe, Managing Director said: “We have been successfully operating across South Wales and the South West for a number of years, with offices in Cardiff and Plymouth. Our long-term strategy is to extend our physical reach to be able to service all of the UK. A series of open days and training events are being planned throughout 2019. The first event is an Industry 4.0 demo day, scheduled for 20 February. Open days will feature innovative smart products from companies such as Universal Robots, SMC and Omron – all global leaders in their fields. There will also be training courses for technicians on pneumatics and PLCs. The UK government recognises the need for manufacturers to embrace automation and smart manufacturing, commonly referred to as Industry 4.0, as highlighted in their report in October 2017 called, Made Smarter Review. The challenge is how to unlock the potential of manufacturers through the use of industrial digital technologies. X-STK are experts in control and automation products. As a division of Applied Automation who have over 30 years of automated machine building experience, there is a wealth of knowledge and experience that can help SMEs find a sensible path towards Industry 4.0 adoption.